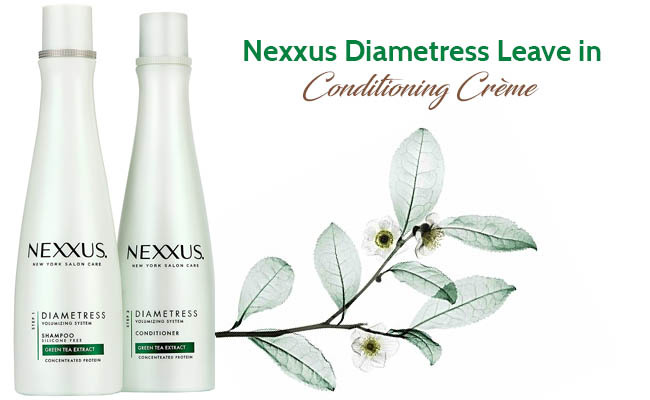 When do you need Nexxus Diametress Leave-In Conditioning Crème? What’s its formula? How does it work? What’s the only thing that matters when shopping? The beautiful black hair needs proper care in order not only to shine, but also to be easier to manage when styling it. You don’t want to dry it or damage it and keeping the flyaways under control gets in a pickle when not using the right cosmetic products. You should include the Nexxus Leave-in conditioner in your regular hair care routine every time you want to tame the fly ends and style faster your hair. The leave-in conditioner is great as it locks in the moisture of hair, giving it a nice body. It also gives your hair a nice and natural volume, nourishing it deeply. Due to the technology within, the leave-in conditioner raises the diameter of the hair shaft and the strong formula boosts the hair shaft. The salon-crafted conditioner gives your hair the nutrients it needs, boosting a natural looking volume. The leave-in conditioner lets your hair fuller and well nourished. It boosts the diameter of your hair shaft, resulting into a thicker and healthier looking hair. The formula is based on Green Tea extract and concentrated elastin protein, but also some other ingredients that explain its efficiency. Green tea extract- works against hair loss. It strengthens the hair and stimulates the hair follicles. It eliminates dandruff and boosts a glowing hair. It has antiseptic abilities and reduces inflammation. It exfoliates dry flakes and is great for the health of your hair. The concentrated elastin protein- helps the tissues get back into their original shape after stretching and contracting. Camellia sinensis leaf extract- it has anti-inflammatory properties and helps your hair look shiny and younger. Butylene glycol- sustains the ingredients for penetrating deeper into your hair shaft. It gives the conditioner a nice consistency. The leave-in conditioner doesn’t include parabens or silicone. It’s a safe choice for the color-treated and relaxed hair too. The formula is based on nutrients that boost the hair shaft, leaving it easier to style and prettier looking. As the leave-in conditioner is the last step in your hair-care routine, using it isn’t complicated at all. You only need a small dab of it as a little goes a long way. Put the small amount to the palm of your hand and continue by rubbing together your hands. You want the conditioner to be evenly distributed through your damp hair. Once the conditioner is well distributed, you can comb it through and blow-dry it or let it dry naturally. You can finish by styling it as planned. The leave-in conditioner has a creamy texture, but doesn’t weigh down your hair. It has a nice scent that doesn’t linger for a long time. It doesn’t leave a greasy feel and doesn’t build up either. It detangles your hair and makes it easier for you to style it. Due to its formula, is wise to always stay away from the eye area. Should you get in near or inside your eyes, try to rinses it thoroughly with plenty of water. We like the leave-in conditioner for many reasons so summing it all up for just a short list is a tad challenging. One may not go for its smell, but smell is quite a personal matter. If you want to properly take care of your hair, a good leave-in conditioner is one step you shouldn’t skip. 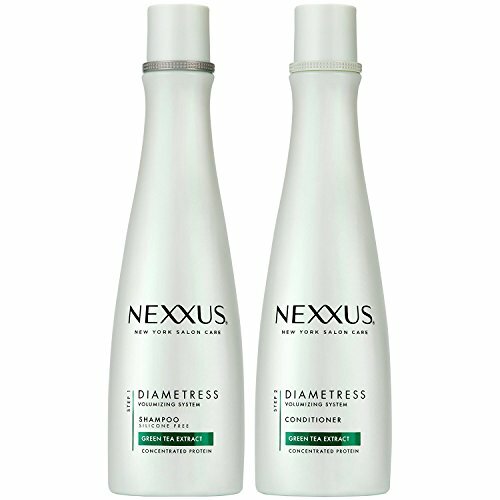 The leave-in conditioner from Nexxus doesn’t just detangle your hair, but also gives a nice volume and body to your hair shaft. It makes your hair shine in a natural way, without weighing it down. One could argue it comes for a steep price, but the leave-in conditioner is worth every single penny. And so does your hair. Recent reviews: the Elta MD SPF 46 Sun Screen, the Dermaceutic Light Ceutic Skin Toning Night Cream, the Paul Mitchell Super Skinny Serum, Makari Classic Duo pack, the Mesoestetic Cosmelan 2 Lightening Cream review.